A Particular Account of the Commencement and Progress of the Insurrection of the Negroes in St. Domingo, which began in August, 1791: Being a translation of the Speech made to the National Assembly, the 3rd of November 1791, by the Deputies from the General Assembly of the French Part of St. Domingo. The second edition. With notes and an appendix, containing extracts from other authentic papers. London: Printed for J. Sewell, 1792 Modern grey paper covered boards, 8vo. iv,47pp. appendix. 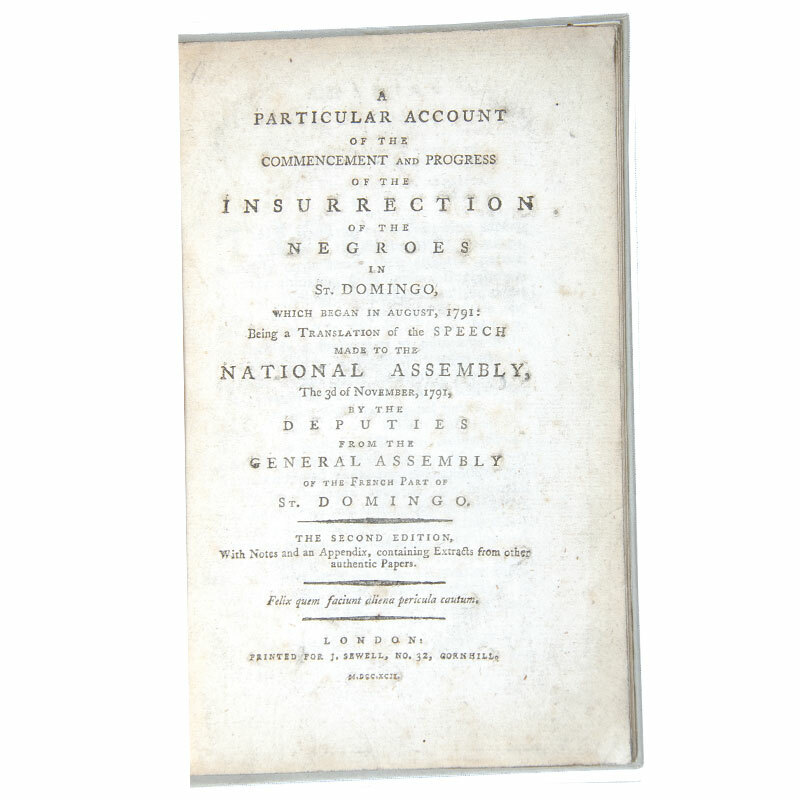 The account of the rebellion in the French colony of St.Domingo, (afterwards Hayti), as presented to the National Assembly in Paris.